What has been your biggest accomplishment in the sport so far? Australian Open 2018 – 7th, Junior World Championships 2012, Teams K1M 2nd place, Australian Youth Olympic Festival 2013, 3rd place K1M. What keeps you busy outside of paddling? Uni – Bachelor of Engineering (Biomedical)/Science at Sydney Uni, Assistant director of Penrith Junior Paddling Program. Greatest influence on your career? Julien Billaut coming to coach the Australian team in 2013 has made me realise more than anything what I can achieve in this sport and how to go about it. His coaching and general insights into life have been invaluable to me. Who inspires you? 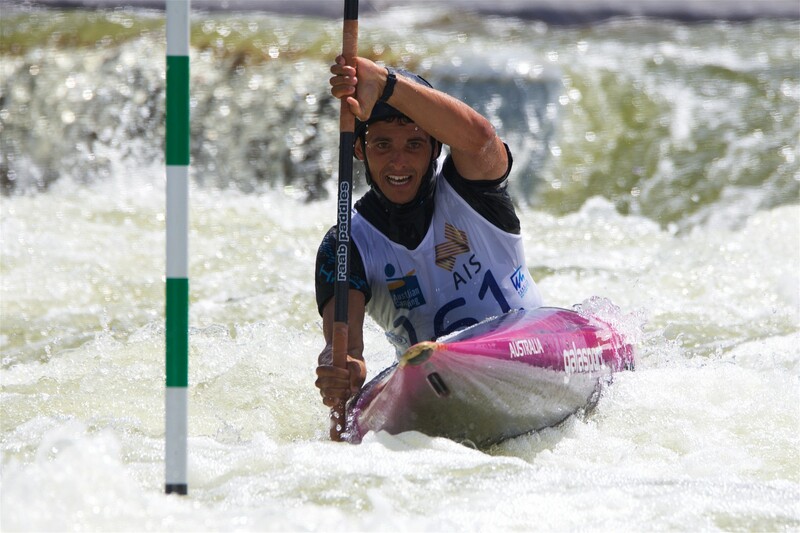 Other paddling champions like Peter Kauzer and Michal Martikan for their truly impressive mastery of the sport. Both have a certain fluidity of their style that makes paddling look graceful and easy but fast, which is what I chase in each session on the water. How would your best friend describe you? No idea. Always busy, often late and trying to do too many things at once. What scares you the most? Heights. I struggle on high stuff a lot. Superstitions before a race? Not really. I try to forget my team uniform on race day in case I get a medal and I always shave before the race. It makes my face feel like it beads water. Stupid, I know. Favourite holiday destination? So far: Prague, the Czech Republic.